Transcontinental flights from the New York City area to LA and San Francisco are among the most grueling domestic routes in existence, with flight times of approximately six hours depending on the direction of travel. Fortunately, all the major airlines that fly these routes offer premium products that go above and beyond traditional domestic premium cabin service. In addition to the big three legacy carriers, there is competition provided by smaller airlines such as Jet Blue and Virgin America. We will compare quality of product, award availability and costs, and note a few things to consider when booking these flights. Delta’s premium transcontinental product is called Delta One. The hard product varies depending on the type of plane you are flying. Delta operates three different types of planes on these routes: 757s, 767s, and A330s. The 757s are the worst of the three as the only narrow-bodied plane, an unfortunately is the most used. There are 16 seats arranged in a staggered 2×2 configuration which are fully lie-flat. While window seats do not have direct aisle access, the staggering of the seats makes it possible for window passengers to sneak by without disturbing their seatmate. The 767 Delta One cabin features 26 seats in a staggered 1x2x1 configuration, giving every seat direct aisle access. While the extra privacy is nice, the larger cabin can make the service feel more rushed as the flight attendants have a greater number of passengers to take care of. The most recent addition to this route is the A330, which has 34 seats arranged in a 1x2x1 reverse herringbone configuration. This is the most private of the three options offered by Delta, and is on par with an international premium cabin experience. The in-flight entertainment system and the food are both very well-regarded, especially for a domestic flight. American has a more consistent offering than Delta, with all their trans-con flights serviced by narrow-body A321s. The cabin has 3 classes, containing 10 first class seats and 20 business class seats. The first class cabin is arranged in a 1×1 herringbone configuration with every seat completely lie-flat and angled toward the window. While the aircraft itself is relatively small, the use of a 1×1 configuration makes the hard product feel similar to an international premium cabin flight. Business class is arranged in a 2×2 configuration. The seats are side by side but also angled toward the windows, giving some additional privacy from those sitting across the aisle. United calls its premium cabin trans-con service “p.s.” for Premium Service. The primary aircraft used for these routes is the 757. However, United has recently begun using some 777-200s and 787-9 Dreamliners. If you happen to be booking one of these routes on United be sure to look for these newer and larger planes as the experience will much more similar to an international premium cabin flight (at least for the hard product). The 757 has 24 seats in the p.s. cabin arranged in a 2×2 configuration and slightly angled out toward the windows, very similar to American’s business class configuration on the A321. The lack of a first class cabin and the 2×2 business call arrangement make United the only carrier not offering an all-seat direct aisle access product on a significant number of trans-con flights. United’s seats offer a large in-flight entertainment screen. The food options have improved in recent years, though the overall service still gets mixed reviews due to inconsistency. The new Polaris re-brand for international business class product is not flowing through to the trans-con product, except for the introduction of new bedding amenities. One of the biggest differences between United and the other legacy carriers is that they operate all of the NYC area flights out of Newark instead of JFK. This can be a good or bad thing depending on where you live or are staying but consider your commute to and from the airport when making a decision. JetBlue’s premium cabin product is called Mint. The flights are serviced by A321 aircraft with a premium cabin that alternates between 2×2 and 1×2 configurations. There are 3 rows of 4 seats separated by 2 rows of just 2 seats. These solo seats are partially enclosed suites which offer the greatest amount of privacy of any domestic flight on any airline. Mint gets high marks for the friendliness of the staff, qualify food, and free high-speed wi-fi. On the downside, Jet Blue doesn’t offer lounge access, which is guaranteed by all 3 legacy airlines for passengers flying their premium trans-con products. If you need lounge access, there are variety of credit cards that offer access to unaffiliated lounge networks such as Priority Pass. Virgin operates A320 aircraft for its trans-con routes with 8 seats arranged in a 2×2 configuration in the first class cabin. The seats are not fully lie-flat but they do recline significantly and come equipped with leg rests. The service is very friendly and the entertainment and food offerings are good as well. 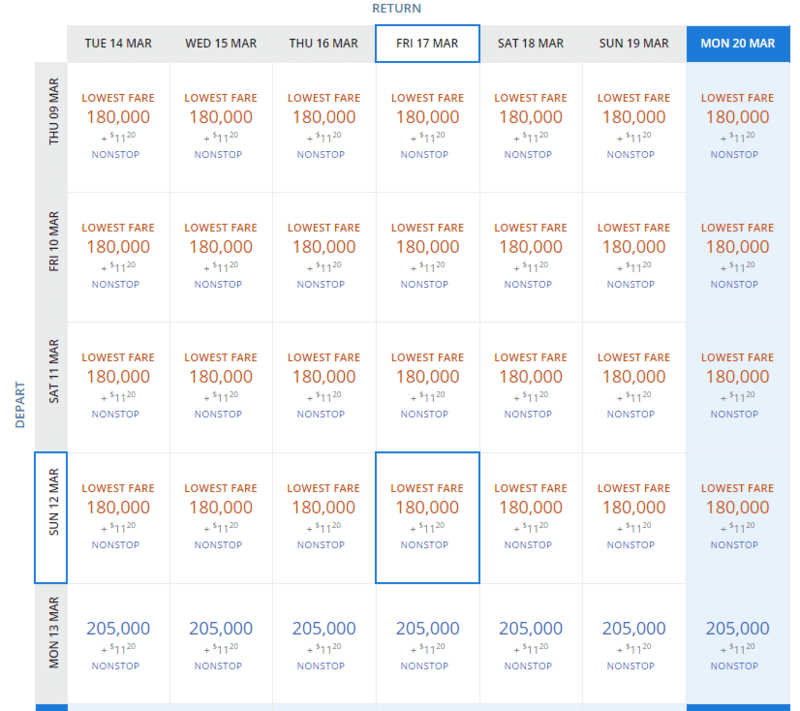 We performed some searches for roundtrip NYC-SFO flights in mid-March to see how awards are pricing out on each airline and how much value if offers versus a paid ticket. Delta – Revenue tickets were pricing out around $1400-$1500 throughout March. Award flights were pricing out at a whopping 180,000 miles, offering less than one cent per point. American – First class flights were generally pricing at $2757. Saver level first class awards were available 5 out of 7 days from March 12-18 traveling west, but only 2 days when traveling east. Roundtrip costs are 100,000 miles, offering a solid value of approximately 2.7 cents per mile. United – United p.s. cabin flights are pricing out at $1560 in most cases, including one operated by a 777. 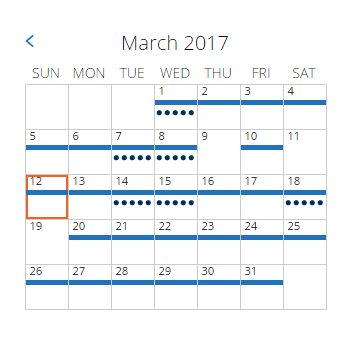 Saver-level award availability was horrible with only 5 days in March offering premium cabin saver awards. Jet Blue and Virgin America both have revenue-based redemption systems instead of award charts, meaning the cost in points will vary with the cash price of the ticket. Jet Blue typically has the lowest fares, while Virgin’s were higher than all but American (though these are sold as first-class while the other carriers are regarded as business class, despite some confusing names).